With so many things to do in a day, the idea of having to worry about saving energy in addition to everything else just isn’t attractive. So what happens? Many people pay it no attention. Yet, energy conservation is important as it helps the environment. As much of our current energy sources are created from dirty sources like fossil fuels, daily energy use produces pollution. Saving energy reduces energy demand and therefore lowers the amount of pollution generated. To begin is really quite easy, just follow these 7 tips to get started! Regularly inspect areas inside your house such as hoses, connectors, and taps to check for any leaks. Repair as needed. Particularly ensure you have no leaky faucets. Even a slow drip of warm water can add a great deal to your monthly energy bill. Place open water containers outside and use them for a wide range of outdoor maintenance activities like watering plants, washing concrete surfaces, outdoor tools, and the like. Take showers instead of baths. Not only will this use less warm water, which requires more energy, but less water generally. Secondly, take shorter showers, and utilize a low-flow shower head. Have a faucet aerator in each faucet to conserve water and heat and maintain high water pressure. Wash garments and dishes with cold water whenever possible. Unplug appliances when not in use, to reduce ghost power usage, also called standby power, that uses energy even when the appliance is not in use. One way to do this is to connect all appliances to an intelligent power strip. Then when you use a certain appliance just switch the strip on, and when you’re finished turn it off and don’t worry about it. Use compact fluorescent light bulbs. They utilize 70-90% percent less electricity than incandescent light bulbs, last 10 to 25 times longer, and save $30 to $80 in power cost in their lifetime, according to the ENERGY STAR government site. Similarly, use products that have earned the ENERGY STAR certificates meeting strict energy efficiency recommendations. Insulate your water heater to prevent any loss of heat. This may retain heat for a longer period of time for the water inside and reduce the amount spent on energy monthly. Insulate the connecting pipes as well to further prevent the loss of heat. 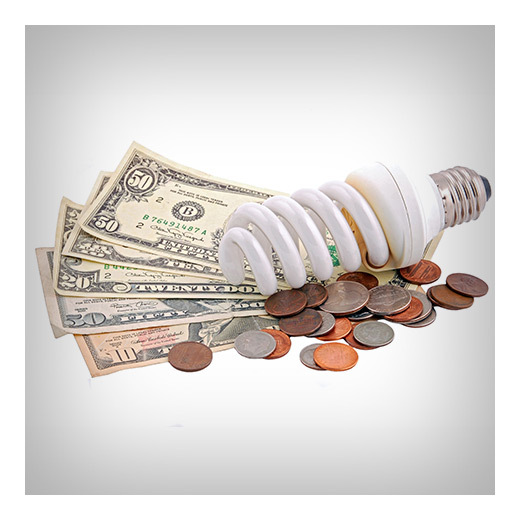 The post 7 Quick Ways to Conserve Energy and Save Money appeared first on Apartments For Us.